Looking for a Charlotte residential moving company to transport your belongings wherever, whenever? The Charlotte residential movers try their best to move on your schedule. We are sensitive to budgets, delivery or storage requirements and the special packing needs of precious family heirlooms. Our household movers develop an itinerary - individualized to your move - to make sure you are informed during every mile of the move. You have found a Charlotte moving company that can provide full-service packing for your entire house. This means that you go about your daily activities as we box, wrap, shrink-wrap and pad furniture in every room of your house. Or you can always pack whatever you want, and leave whatever you don't want to pack to the Charlotte residential movers for an additional fee. Local Movers: For a budget-friendly move in the neighborhood, call upon our home movers to move you locally. Long Distance Movers: Whether you are moving to the mountains of the Appalachians up north or if you are moving to the west coast, we can make the delivery for you. International Movers: Trust us to get you through customs in a different country with our agent status with Mayflower Transit. Military Movers: Our house movers can provide the quick, immediate service you require for a short-notice military move. Packing Services: With over 60 years in the moving and storage industry, Charlotte Van & Storage can offer you all of the services you require for your move – including professional packing. Moving Assistance: Planning a household move is a big undertaking, from packing up all of your belongings to organizing transportation, storage, and more. Professional Movers: Relocating to a new household is about more than just moving your belongings—it’s about transitioning your entire life to a new location! Moving & Storage: There are countless factors to consider when planning a relocation, and having short- or long-term storage for your household items can help ease the transition to your new home. Movers in Charlotte: One of the biggest decisions that you’ll make during a household move is finding the right moving provider to handle the details of your relocation. 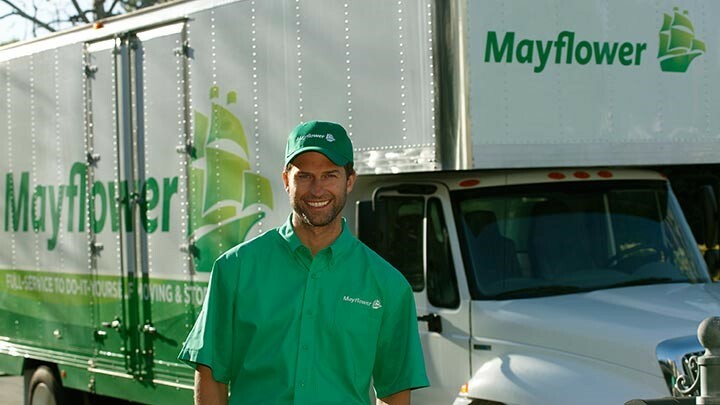 Mayflower Moving Company: When choosing a moving company to handle your household move, the first step is finding out more about their experience and professional resources. Full Service Movers: There’s a lot of coordination that goes into executing a successful household move, so why not have a professional team take over all of the details? Charlotte Van & Storage, a Charlotte residential moving company, will handle all of your moving details. We are the Charlotte residential movers you have been looking for. Call us today or fill out our free online quote form to get a free in-home estimate.